In the American sports betting world, nothing is bigger than the Super Bowl. Leading up to the Feb. 3 kickoff between the Los Angeles Rams and New England Patriots, more money will be bet on Super Bowl LIII than any other single game in American sports. Hundreds of millions of dollars will change hands, with bets on everything from the coin flip to the color of the Gatorade dumped on the winning coach. We'll chronicle it all in this file updating the biggest bets from around the country. 6:00 p.m.: 73 percent of the money at DraftKings sportsbook in New Jersey is on the Patriots moneyline, along with 69 percent of the spread money. 5:30 p.m.: "I think we break the Nevada record (for amount bet on the Super Bowl) by at least 10 percent." - MGM vice president of race and sports Jay Rood. A record $158.6 million was bet on Super Bowl LII between the Philadelphia Eagles and New England Patriots last year. 5:20 p.m.: The worst-case scenario at this point for the SuperBook at Westgate Las Vegas is the Patriots covering the spread in game that features at least three players attempting a pass, a safety and goes into overtime. 5 p.m.: Caesars Palace told Covers.com's Patrick Everson that they took an approximately $500,000 bet on the Patriots -2.5. 4:45 p.m.: The worst-case scenario at this point for MGM sportsbooks is the Patriots covering the spread and the game going over the total. 3:20 p.m.: A bettor at a CG Technology sportsbook in Las Vegas is risking $65,000 to win $2,000 on the Super Bowl opening kickoff not resulting in a touchdown. The bettor bet $35,000 at -3,500, and $30,000 at -3,000, per vice president of risk Jason Simbal. 2:57 p.m.: William Hill took a $300,000 bet on the Rams at +2.5 (-110) to win $272,727.50. 2 p.m.: The worst-case scenario for Caesars Palace books in New Jersey is the Patriots covering, the game going over the total and the first half staying under the total. "And just like every year," Caesars head of risk Jeff Davis said, "we need no safety and no OT." 1:50 p.m.: At SugarHouse's online sportsbook in New Jersey, 66.6 percent of the bets on the point spread are on the Patriots, but the money wagered is nearly 50/50. 1:45 p.m.: At the sportsbook at SugarHouse Casino in Philadelphia, 70 percent of money-line bets and 80 percent of the money wagered on the Super Bowl money line is on the Patriots. 1:44 p.m.: At the sportsbook at Rivers Casino in Pittsburgh, 59 percent of money-line bets are on the Rams, but 62 percent of the money wagered on the money-line is on the Patriots. 12:30 p.m.: To start the day, the worst-case scenario for Station Casino sportsbooks in Nevada was the Patriots winning by more than two and the game going over 56 points. "Patriots winning by one or two and under is the best," Station sportsbook director Jason McCormick told ESPN in a Sunday email. "Also, we need no safety, no overtime, no two-point conversion and no [Rob] Gronkowski MVP." Noon: 75 percent of the money wagered on the point spread is on the Patriots at the FanDuel Sportsbook in New Jersey. 9:32 a.m.: 74 percent of the money wagered on the point spread is on the Patriots at the SuperBook at Westgate Las Vegas. 11 p.m.: One bettor made a money-line wager of $250,000 on the Patriots to win at odds of -137 on the DraftKings sportsbook app in New Jersey. The bet would win $182,500, for a total payout of $432,500. 6:45 p.m.: 64.5 percent of the bets and 74.3 percent of the money bet on the point spread at Caesars Palace books in Nevada is on the Patriots. 6:15 p.m.: Las Vegas sportsbook operator CG Technology reported taking a $300,000 money-line bet on the Rams at +118, according to Simbal. 5 p.m.: MGM took a bet just over seven figures on the Patriots -2.5 on Saturday. MGM vice president of race and sports Jay Rood told Vegas Stats and Information Network's Gill Alexander that the bettor won a big bet on New England in the AFC Championship Game and elected to roll It over on the Patriots in the Super Bowl. It is the third reported seven-figure bet on the Super Bowl, but the first on the Patriots. 3 p.m.: South Point sportsbook director Chris Andrews reported taking a $220,000 bet on the Patriots -2.5. 1 p.m.: MGM opened Rams star defensive tackle Aaron Donald at 70-1 to win Super Bowl MVP. Money flowed in on Donald, driving the price down to 15-1. "[Donald] winning MVP is not good for us," Rood said. "One of our biggest losing propositions ever was [Denver Broncos defensive end] Von Miller winning MVP [in Super Bowl 50]." 5 p.m.: Chris Andrews, sportsbook director at South Point Casino in Las Vegas, reported taking a $300,000 money-line bet on the Rams. It is the second large money-line wager on L.A. reported by a Las Vegas sportsbook on Friday afternoon, following a $1.5 million money-line bet on the Rams placed at a William Hill sportsbook in Nevada. 3:10 p.m.: The SuperBook at Westgate Las Vegas reports taking a $120,000 bet on the Patriots -2 (-120). 2:30 p.m.: Bookmaker William Hill U.S. reports taking a $1.5 million money-line bet on the Rams at +120 odds. The bet was first reported by Covers.com. If the Rams pull the upset, the bettor would profit $1.8 million. William Hill was one of the sportsbooks that moved the point spread to Patriots -3 last week, but the number dipped back to 2.5 Friday afternoon. Nick Bogdanovich, director of trading for William Hill U.S., told ESPN the big money-line bet was one of several factors that caused the line movement. • $132,000 two-team, six-point teaser on Rams +9 and over 50.5. Noon: 72 percent of the bets placed on the point spread at BetStars online sportsbook in New Jersey are on the Rams, but 78 percent of the money wagered on the spread is on the Patriots. 10 a.m. ET: The bulk of the point-spread and money-line action at the sportsbook at Hollywood Casino at Charles Town Races in West Virginia was on the Patriots. The book was one of the shops that moved the point spread up to New England -3 earlier in the week, while the majority of places were holding steady at Patriots -2.5. "[Moving to -3] didn't really slow down the action on the Patriots all that much," vice president of race and sports operations for Hollywood Erich Zimny told ESPN. "The largest five-figure play we took on the them happened after the line moved to three." • Director of race and sports at Westgate Las Vegas SuperBook John Murray told ESPN that as of Thursday afternoon, the largest bet they had taken was a $35,000 wager on New England at -1.5. • The Wynn sportsbook in Las Vegas dropped the line back to Patriots -2 on Thursday afternoon. Wynn executive director Doug Castaneda said he had taken a "few six-figure bets on both sides," but declined to provide specifics. • Caesars Entertainment director of specialty games Bill Sattler said the company's Nevada sportsbooks had taken two dozen five-figure bets, "80 percent of those are on the Pats." • The sportsbook at South Point Casino in Las Vegas took a $38,000 bet on the Patriots +3.5 at -190 odds Tuesday. The bet would pay a net $20,000. 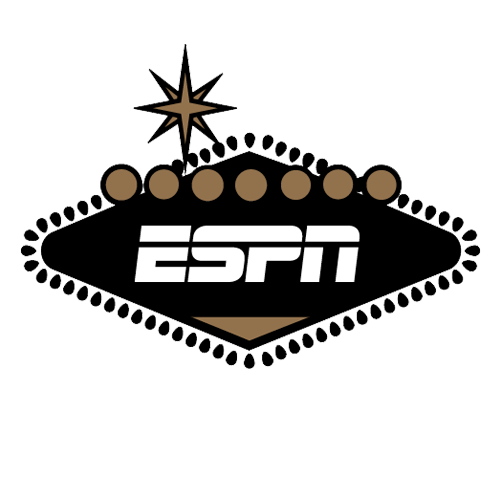 • As of Tuesday afternoon at Las Vegas sportsbook operator CG Technology, the action was lopsided on the proposition of "Will there be a successful two-point conversion?" CG Technology vice president of risk Jason Simbal said the book had taken a "bunch" of bets on the "Yes" and not a single wager on the "No." • Over 2.5 players with a pass attempt. • Yes, there will be a 100-yard rusher. • Yes, there will be a score in the first 3:30 of the game. • Yes, both teams will score two or more touchdowns in each half. • As of Tuesday afternoon at Caesars Palace books in Nevada, 75.9 percent of the money wagered on the point spread was on the favored Patriots. • A handful of sportsbooks moved the point spread to New England -3 over the weekend. William Hill U.S., which operates sportsbooks in Mississippi, Nevada, New Jersey and West Virginia, bumped the line up from Patriots -2.5 to -3 Friday night, with -110 vig. William Hill director of trading Nick Bogdanovich told ESPN that the move was not caused by big bet, rather "steady Patriots money." Bogdanovich said Sunday that the book had yet to accept a six-figure wager on the game. By Monday morning, William Hill had kept the line at New England -3, but adjusted the vig, charging -120 to bet the Rams. The line remained at New England -2.5 at most books on Monday morning. • Station Casinos reported on Sunday having taken several "significant five-figure bets, mostly on the Patriots." • At DraftKings New Jersey sportsbook, 86 percent of the money bet on the point spread and money line was on the Patriots. Bettors also were siding heavily with the over on 56.5 points. • Per usual, the betting public is gravitating toward the props with longer odds. As of Sunday afternoon at Caesars Palace, 91 percent of the bets on "Will there be a safety?" was on the "Yes." The "Yes" opened at +600. • As of Sunday afternoon, 71.2 percent of the money wagered on the coin flip at Caesars Palace books was on heads. • MGM took a "truckload" of New England money on Sunday night, including a $115,000 wager on Patriots -1.5 (-110) and a $110,000 bet at Patriots -1 (-110). • William Hill US took a $63,750 wager on Patriots -2 (-110) on Sunday night. It would net $57,954.55. • As of Wednesday morning, 94 percent of the money that has been wagered on the point spread at Las Vegas sportsbook operator CG Technology was on the Patriots. The largest bets to this point were in the five-figure range, "all of which are on the Patriots," Simbal told ESPN. • As of Thursday afternoon, more than 86 percent of the spread money at William Hill US books was on the Patriots, along with 79 percent of the tickets. • The Westgate Las Vegas SuperBook released 442 prop bets on Thursday night and in three hours of wagering took in over $400,000 of bets. The limit on wagers was $2,000. • The sportsbook at South Point Casino in Las Vegas on Friday reported taking a $28,000 parlay on the Rams money-line +120 and over 57 for a potential net win of $89,600. • $50,000 on the Rams at 7-2 for a net win of $175,000 at Westgate Las Vegas. • $30,000 on the Rams at 3-1 for a net win of $90,000 at MGM. • $5,000 on the Rams at 9-1 for a net win of $45,000 at CG Technology. • $15,000 on the Patriots at 5-1 for a net win of $75,000 at CG Technology. • $10,000 on the Patriots at 7-1 for a net win of $70,000 at CG Technology. 2: The number of Super Bowls that Nevada sportsbooks have suffered net losses on since state gaming control began tracking the betting action on the NFL championship in 1991. The books lost $396,674 on Super Bowl XXIX (Chargers-49ers) and $2.5 million on Super Bowl XLII (Giants-Patriots). $2.4 billion: The amount bet on the Super Bowl at Nevada's regulated sportsbooks since 1991. -$173,525,334: The net loss on the Super Bowl for bettors at Nevada's regulated sportsbooks since 1991. 25-25-2: Super Bowl favorites' record against the spread (according to ESPN Stats & Information's point-spread database; note that because spreads vary by sportsbook, the overall record may vary as well). 26: The number of Super Bowls that have gone over the total. There have been 24 unders and one push. (No recorded over/under total on Super Bowl I). 7: The number of states, in addition to Nevada, with legal sportsbooks that will be taking bets on the game: Delaware, Mississippi, New Jersey, New Mexico, Pennsylvania, Rhode Island and West Virginia.